Note: On the Back Squat, we will be utilizing the “Super Slow Technique.” From the start position, descend to the bottom position on a 5 second count. Hold the bottom position for 3 seconds, and then as rapidly as possible, explode to the top position. At the top position, take one full breath, and repeat the required number of repetitions. Check your fitness journals and add 5lb. to each set from August 18, 2015 or August 24, 2015. 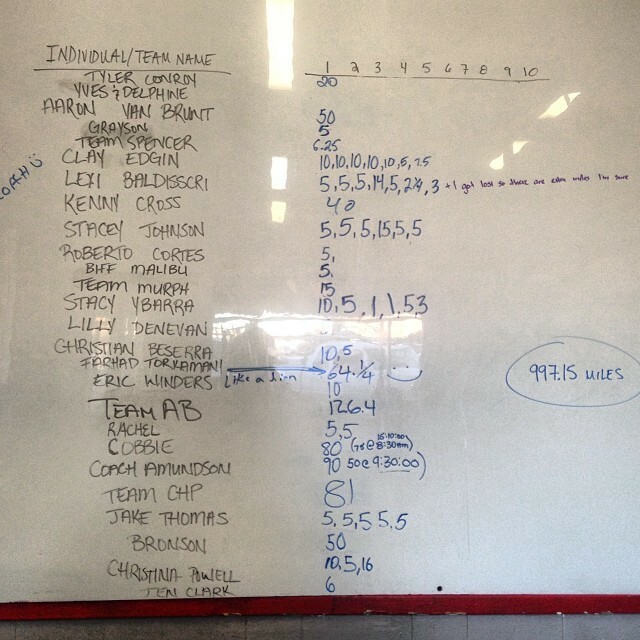 Run Data Compiled – 997.15 Total Miles Run and Rowed! Note: Todays EWOD will be at HQ.